Even on opening the postal package, I was certain I was going to like Slow Things. The Emma Press’ bitesized anthology is as appealing as any well-pitched children’s book; the cover’s enticing maroon and Quentin Blake-esque sloth illustration suggests another, less complicated world of the sort in which I would like to dwell. An initial flick through the pages revealed intriguing little sketches I immediately wanted to colour in. My gauge was set to ‘childlike enthusiasm’ from the start. 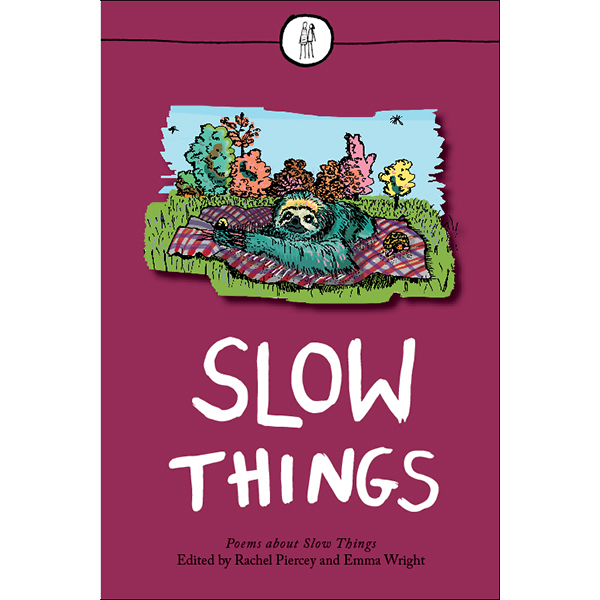 ‘Poems about Slow Things’ explains the inner blurb, simply: but this is more gnomic and mysterious than it might first seem. Poems themselves – and these poems are no exception – are not that easy. Emma Wright, in her foreword, explains that selection for the anthology required the poems to be ones we can ‘sink into’. This is a good strategy to get you in the contemplative mood. By poem one, I felt calm. By poem ten, I was blissed out. In foregrounding poems’ essential luxury – yes, they can (and should) be moving, provocative, startling; but they are also a past-time – the editors have made of this little book an invitation to cosiness. Isobel Dixon starts with the lazy, contented question: “What are we to do with all this sky?” But her answering lines are taut rather than sloppy: “Here even the breeze / has water in” blends economical syntax with apt imagery. This is undermined a little by the page turn to the (to my mind) unnecessary closing tercet: I was so satisfied by “The grass tufts nod” as the closing image that to find an unexpected coda on the next page undid some of the good work. In general, though, this is a collection of unusually fulfilling poems. The opening poem aside, they have excellent endings; I felt changed a little by each one. Rob Walton’s ‘dining’ is otherworldly but avoids the fey: slow things round the table (sloth, snail, tortoise) wait for their slow meal (will it ever come? It doesn’t matter) and consider, at some point, fixing the grandfather clock: “we wouldn’t regret it”. Alexandra Davis’ ‘Weekend’ is thick with internal rhyme: “We arrive, the working week a smear / of rush, a comet’s dust, / streaking out behind us.” Tell me more! “Like too-stretched bubblegum it sags[…], dead skin in the space of yesterday”. Yes, that’s the stuff. Little pictures also serve to slow the very process of reading. 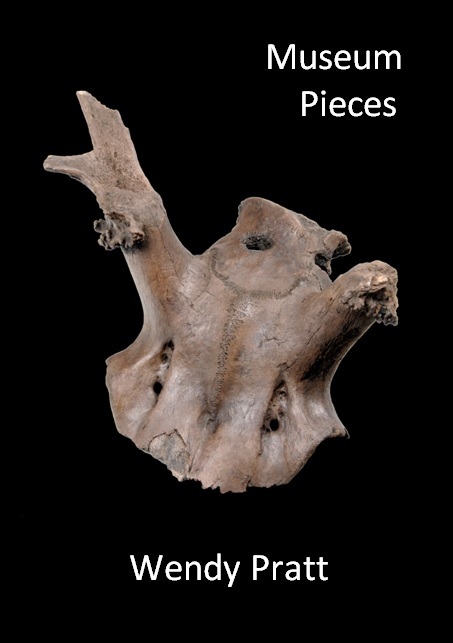 Charlotte Buckley’s creepy archaeology in ‘Ice Well’ (“In darkness for years, / there is a sense of it coming to light”) is separated from (or linked to) Juana Adcock’s mysterious ‘Waking up the Stones’ by a careful line drawing of a tiny broken nugget, its lines assured. 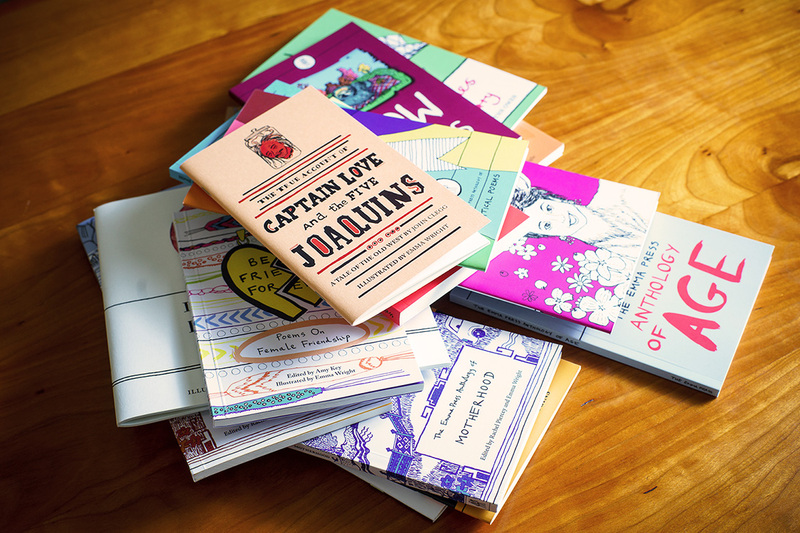 More books should be accompanied by visuals – these surely enhance the reading experience. Other poets’ lines I would especially like to single out: Sara Nesbitt Gibbons‘ “patient as rust or a barnacle”; Di Slaney‘s “the colour of my jelly shoes shrieking fun- / time red”; Cameron Brady Turner‘s “all this way just to / slowdance a wardrobe up the stairs”. 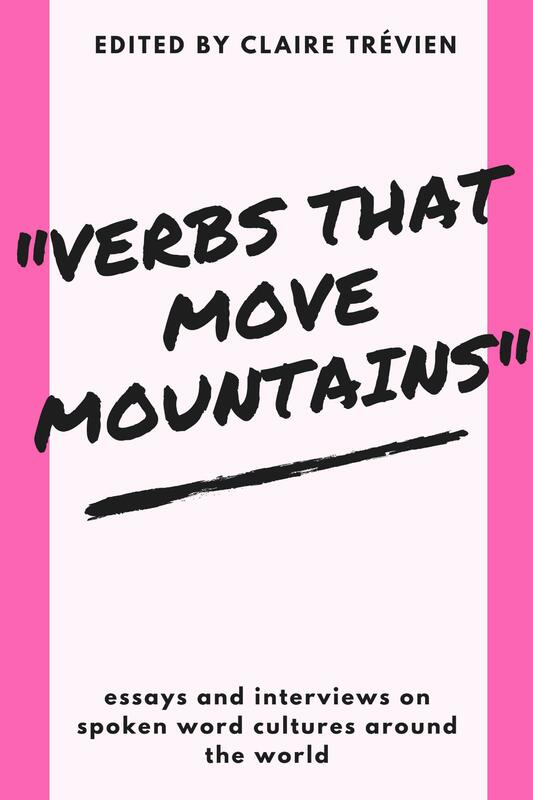 These are tiny word-gems, and there are lots of them. In fact, there are really no weak links; I was able to explore the collection safe in the knowledge of its quality, so that if poems didn’t grab me it was a quirk of my taste rather than failure of their craft. 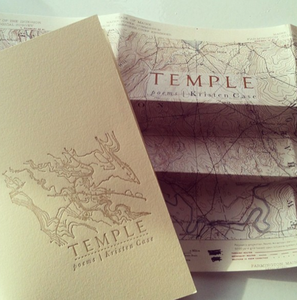 More like this, please, Emma Press – you’ve convinced me to take it slow.